We were blessed to be able to return to Israel. 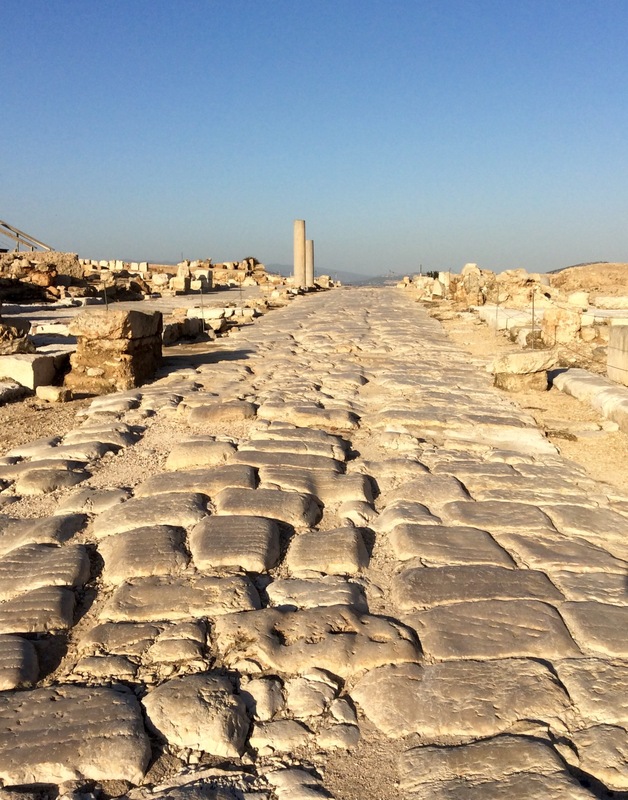 There are thousands of years of history in this tiny country: Old and New Testament history, Ottoman and Crusader history, and the more recent historic return of the Jews and statehood of Israel. It was my third time to tour Israel, and I hope I will be able to return again someday! Our itinerary included both returning to favorite places and exploring new. Arriving at Ben Gurion International airport we picked up a rental car and drove to the Galilee but we turned in once we arrived in Jerusalem. We then bused to Tel Aviv and returned to the airport by train. 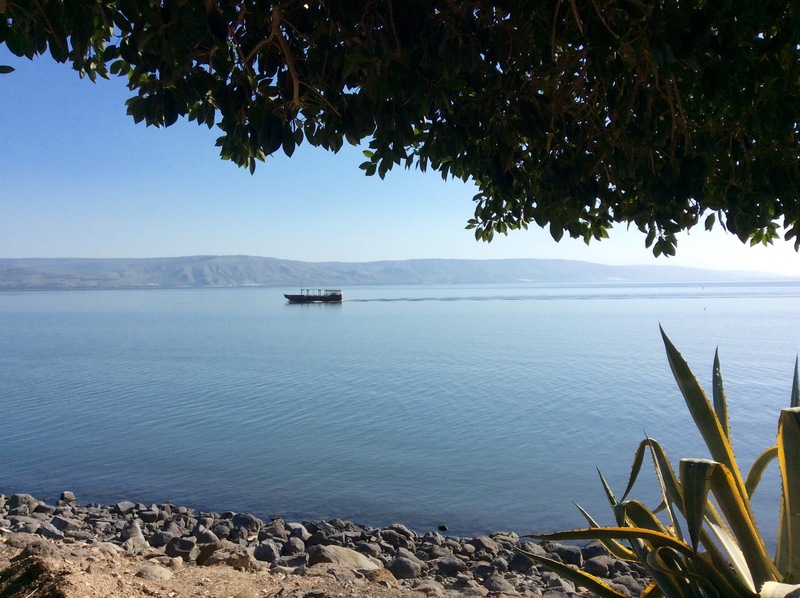 Galilee: 5 nights. We enjoyed the freedom to drive. 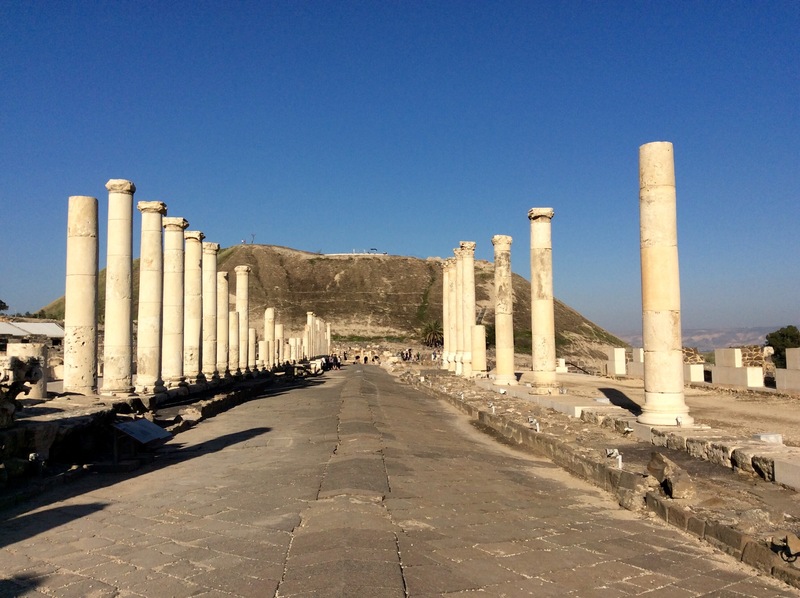 Visited Capernaum, Korazim, Kursi, Zippori and Bet She’an National Parks, Tahbga, Mt. Bental and Nazareth. Ein Bokek on the Dead Sea: 1 night. 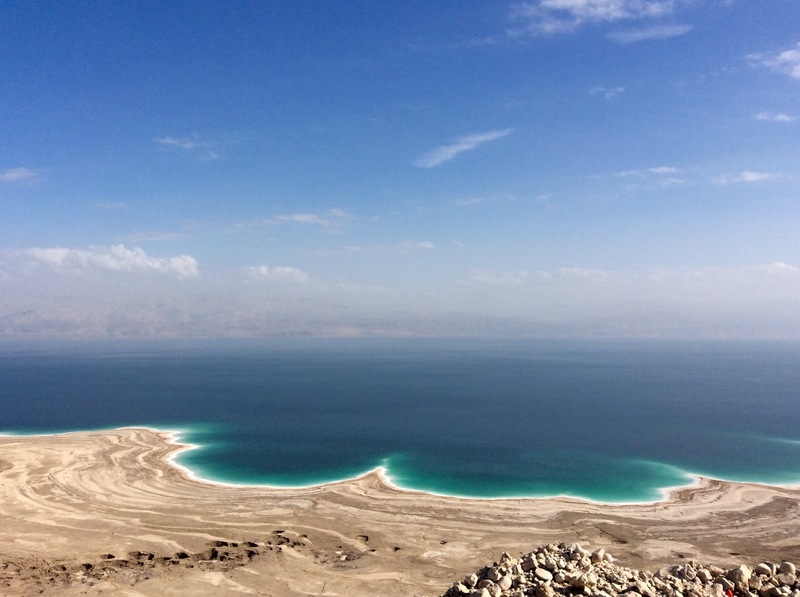 Visited Qumran, Ein Gedi, Qsar al Yahud (Jordan River baptismal site), and Inn of the Good Samaritan – all National Parks. Jerusalem: 5 nights. Mostly walked! Visited Temple Mount, and the Western Wall. Taxied to the village of Ein Karem. Tel Aviv: 2 nights. Bought public transportation day passes. Toured the Palmach Museum and Independence Hall and walked through many neighborhoods. Israel is a very expensive country and we were blessed to be able to return, but as budget travelers, were unable to afford the luxury of a private driver and guide. Snow on Mt. Hermon is seen in the background from atop Mt. 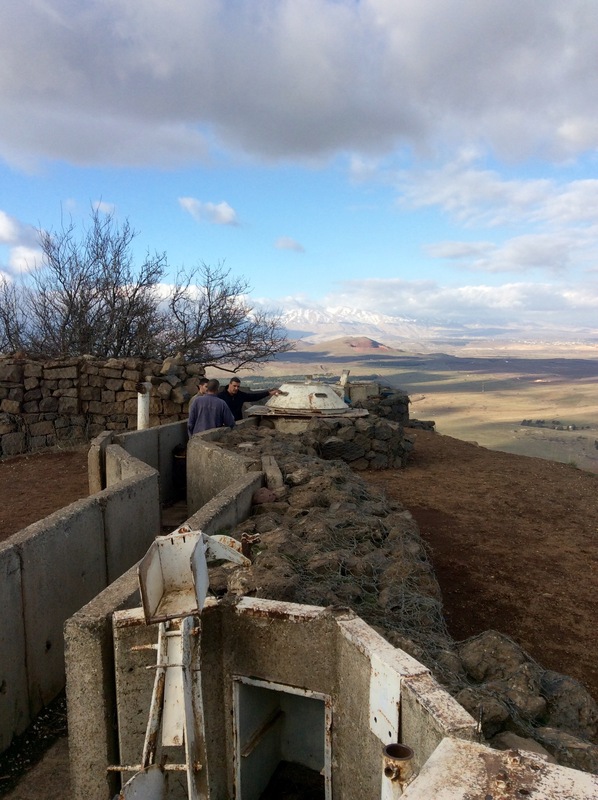 Bental, the site of Syrian trenches that overlooked Israel, land which Israel captured during the 1967 6-Day War, a war begun with a surprise invasion. 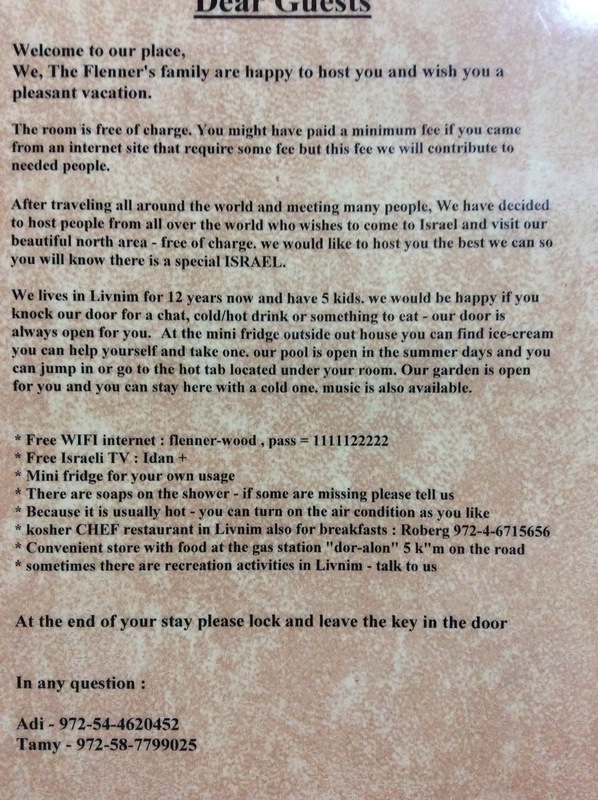 Israelis are very friendly people. 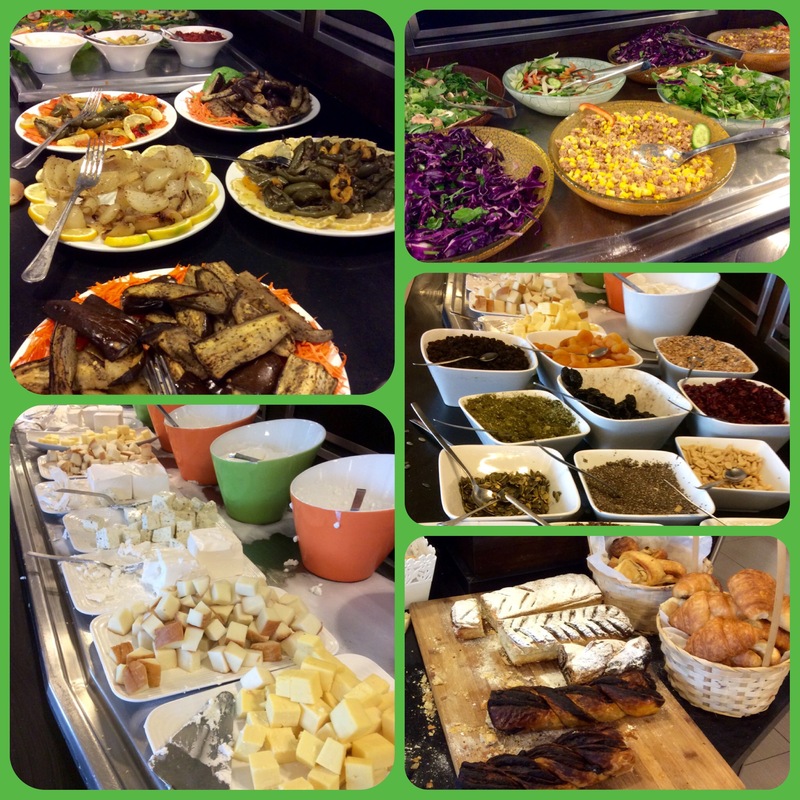 The Dead Sea hotel offered the huge legendary Israeli breakfast buffet. It was the only meal we ate that day! 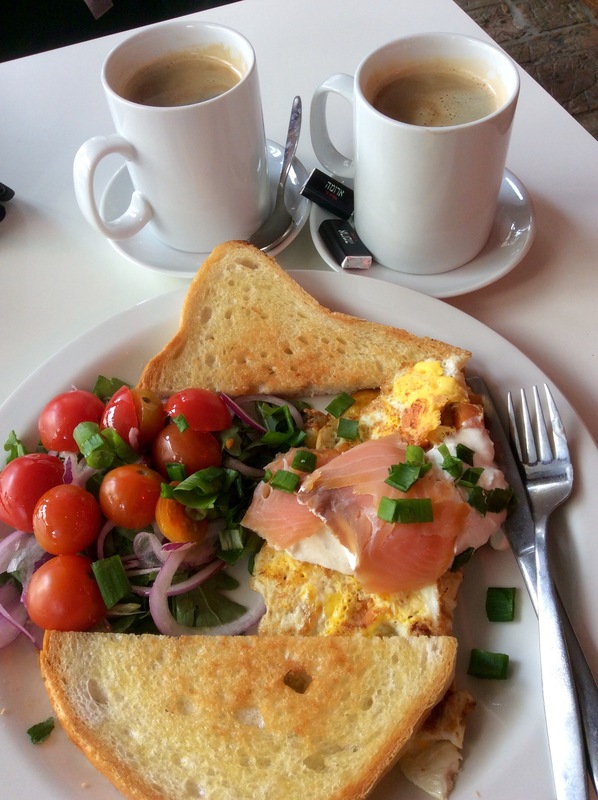 This delicious breakfast and 2 coffees at Aroma was large enough to share and cost $14. 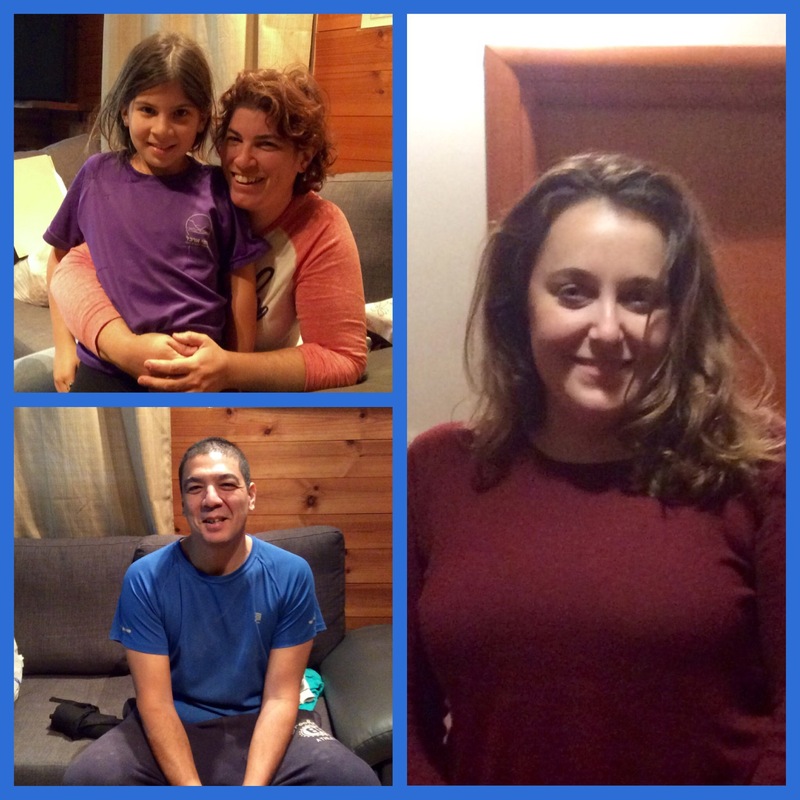 Many thanks to these dear folks: the Flenner family (left top and bottom), Jessica (right) in Jerusalem, and Lotem (not pictured) in Tel Aviv, whom we found on AirBnB, and shared their homes with us at bargain (for Israel) prices. 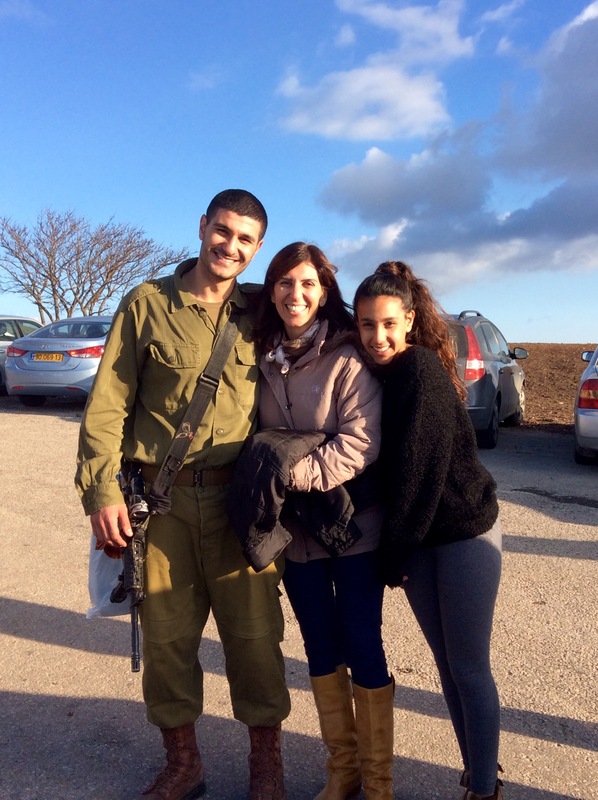 Without this generous family we wouldn’t have considered returning to Israel on this trip. We booked this on AirBnb and paid less than $15 a night. 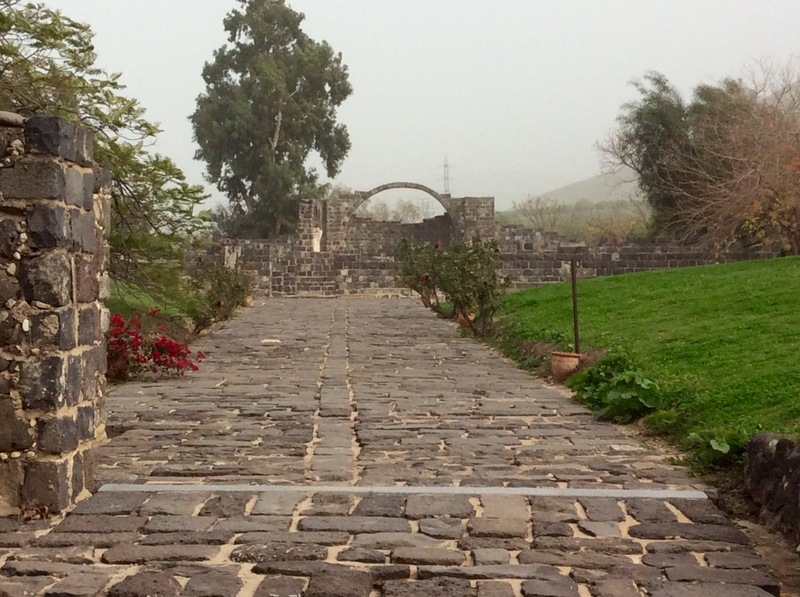 We had fantastic weather in January to explore the area around the Sea of Galilee. The day it rained we turned south and found great weather again near the Dead Sea. Kursi, commemorating the site where Jesus cast the unclean spirits into a herd of swine grazing nearby. 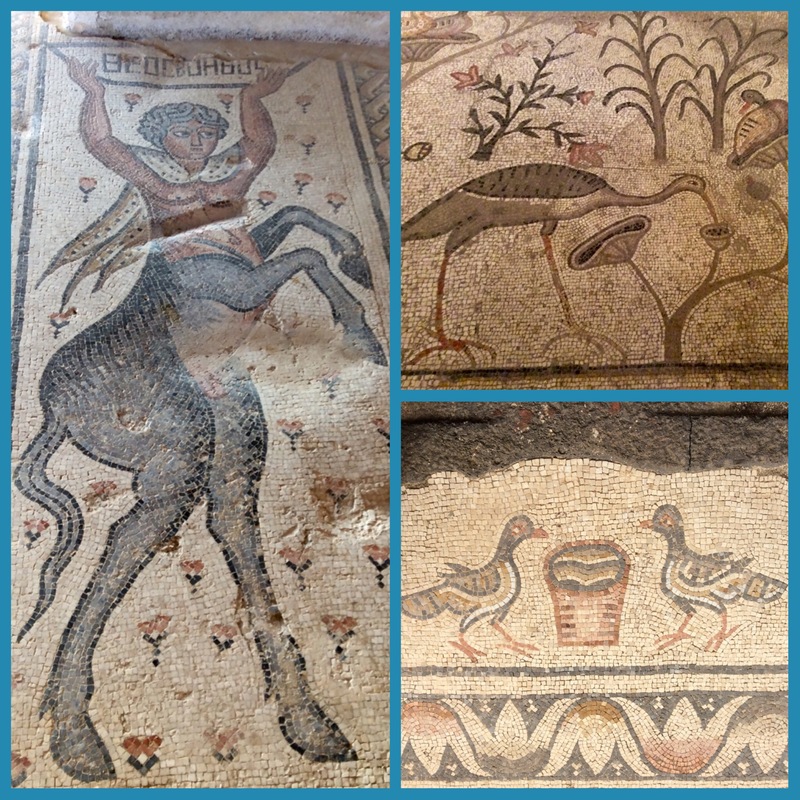 Here are a few of the many beautiful mosaics from the Roman period. 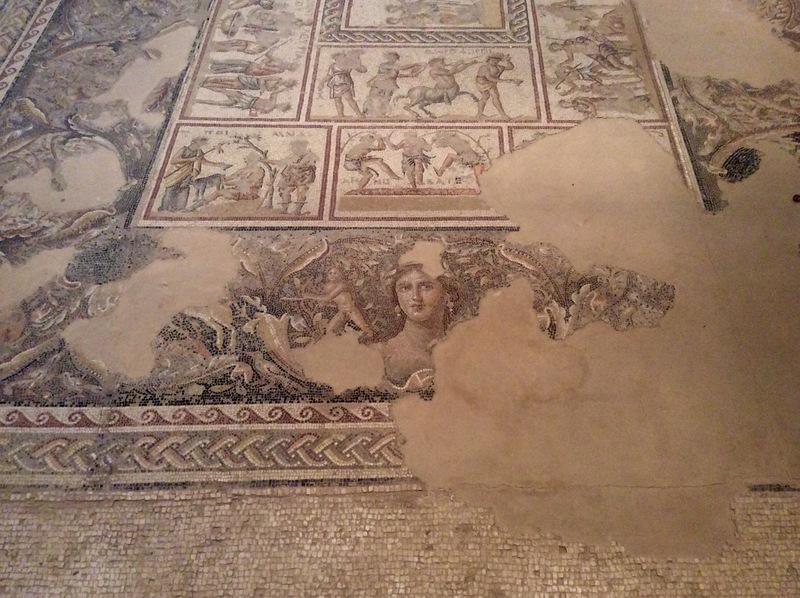 The mysterious “Mona Lisa of the Galillee” in a floor mosaic consisting of 1.5 million tiles of 23 colors at Zippori National Park. Zippori is just an hour’s walk from Nazareth and is where Herod Antipas had a palace. The ruins at Zippori are impressive. The receeding shoreline of the Dead Sea. 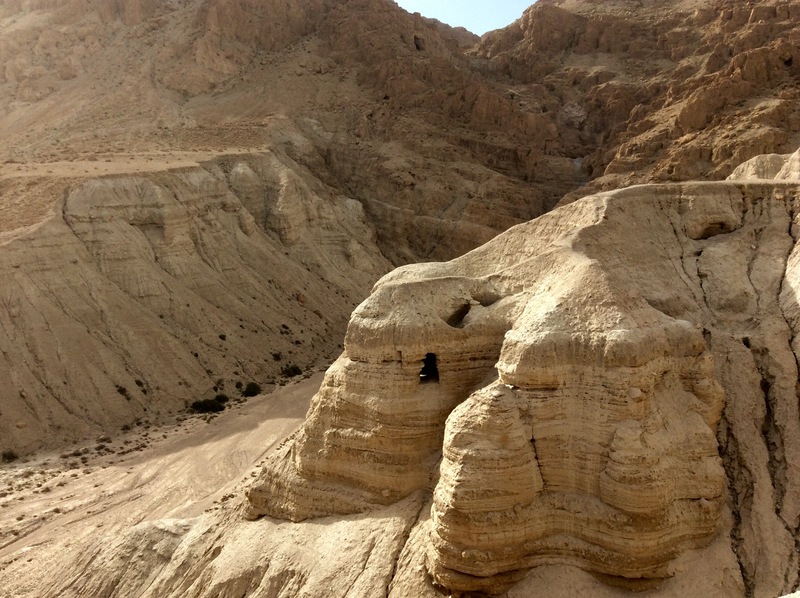 Qumran was home to the Essenes who left a magnificent treasure (the Dead Sea Scrolls) hidden in the surrounding caves which were recovered in 1947. 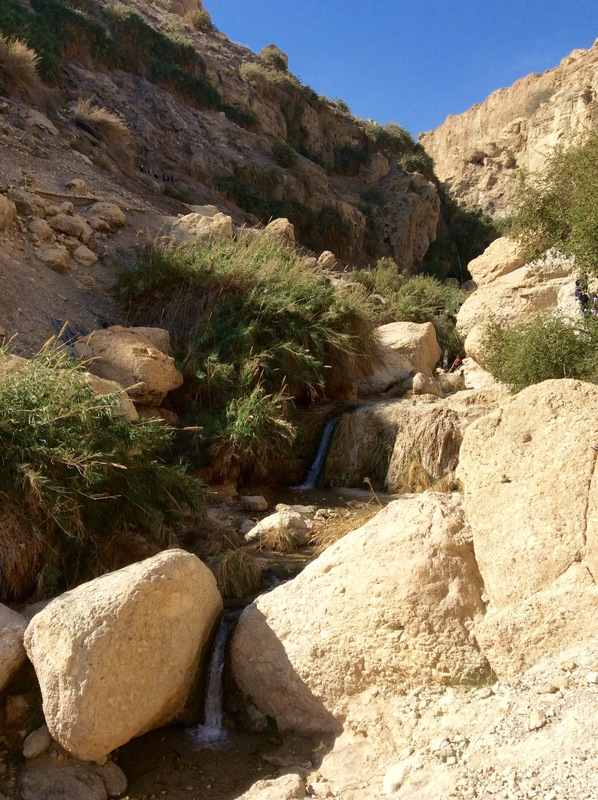 The David Stream flows year around In the En Gedi Nature Preserve, an oasis west of the Dead Sea. The a Bible tells about David and his men hiding from King Saul in this oasis. 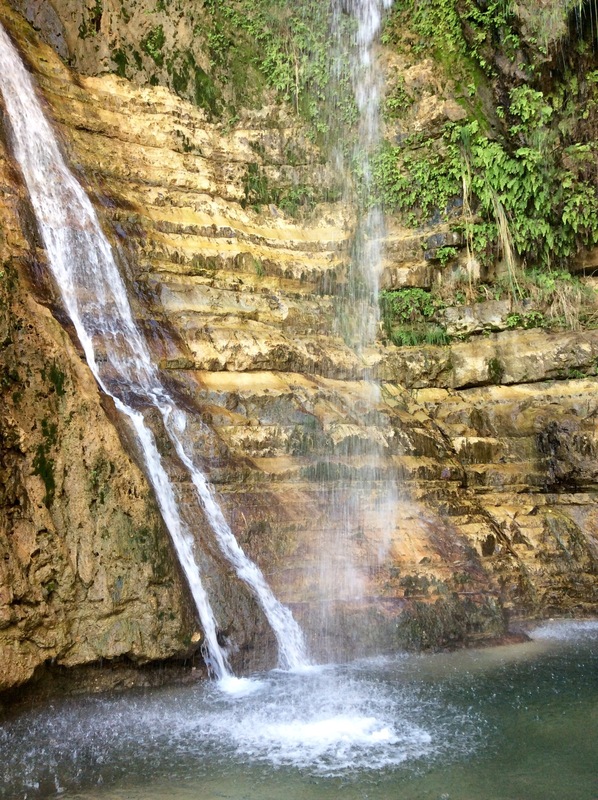 What a surprise to find these waterfalls totally surrounded by desert at En Gedi. It was my third time to visit Israel, but my first time not being part of a tour group. 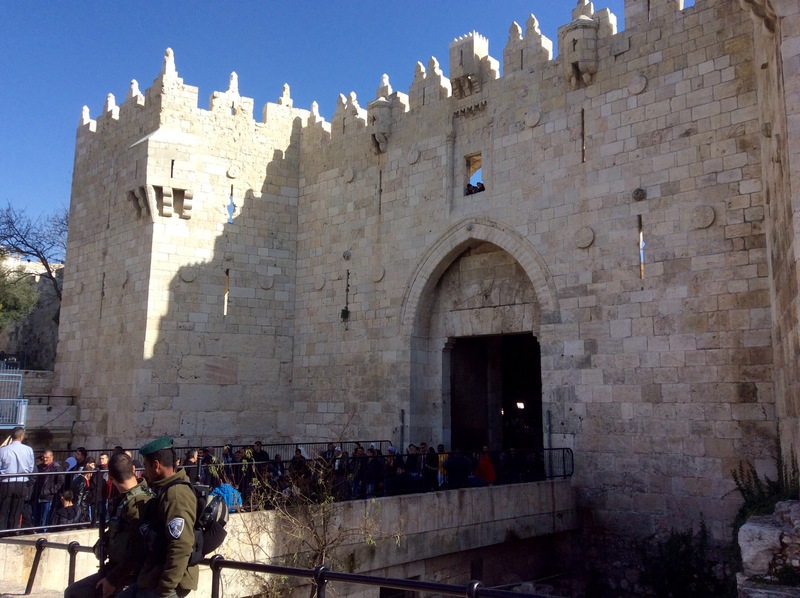 We generally travel alone, but Israel is one location where I prefer having a guided tour – or a private driver-guide. A local driver doesn’t get lost, can read the Hebrew and Arabic signs and is not confused when the English spellings on the signs and the maps differ – K and Q are interchangeable as well as Z and Ts or Tz. A guide knows all the answers and spoon-feeds the information to you. 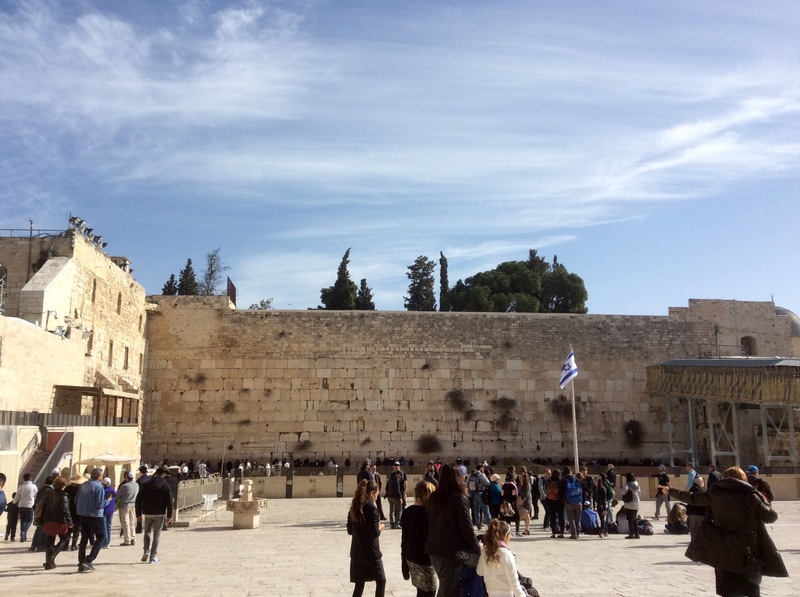 Due to the religious nature, travel in Israel is different from many places, and I missed the camaraderie and fellowship of traveling with a group of fellow Christian believers. 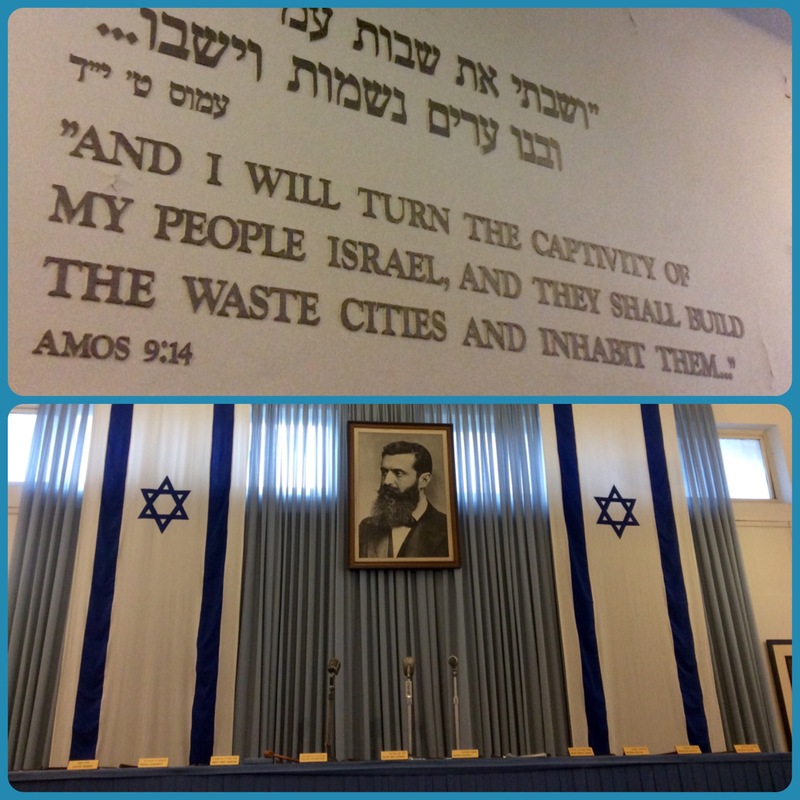 Independence Hall in Tel Aviv offers an emotionally moving tour. My photos are just a sampling of all we saw and experienced. They do not do it justice. I can’t write a mini history lesson on each place when an entire thesis would be required to address their years of civilization. 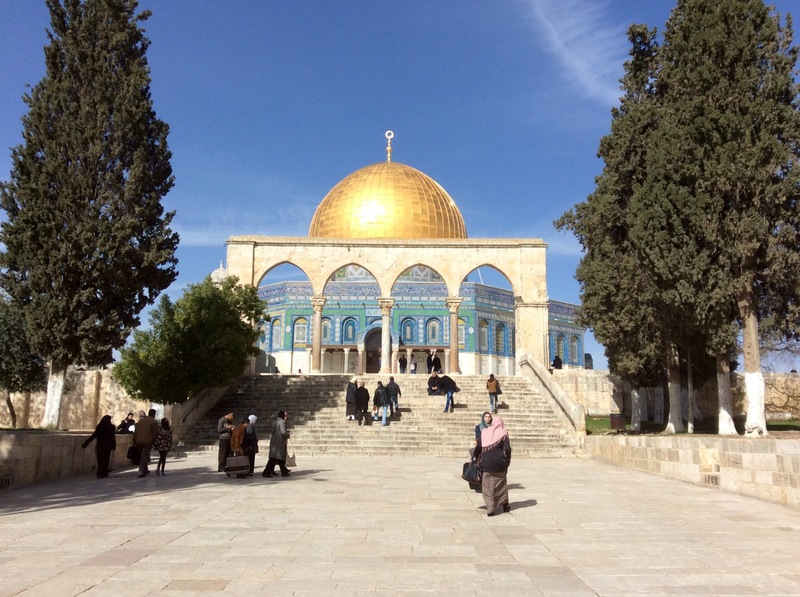 Jerusalem, has a mix of cultures and is important to the 3 monotheistic religions: Judism, Islam and Christianity. We never felt unsafe, nor does Israel feel like a country on the brink of destruction or war. 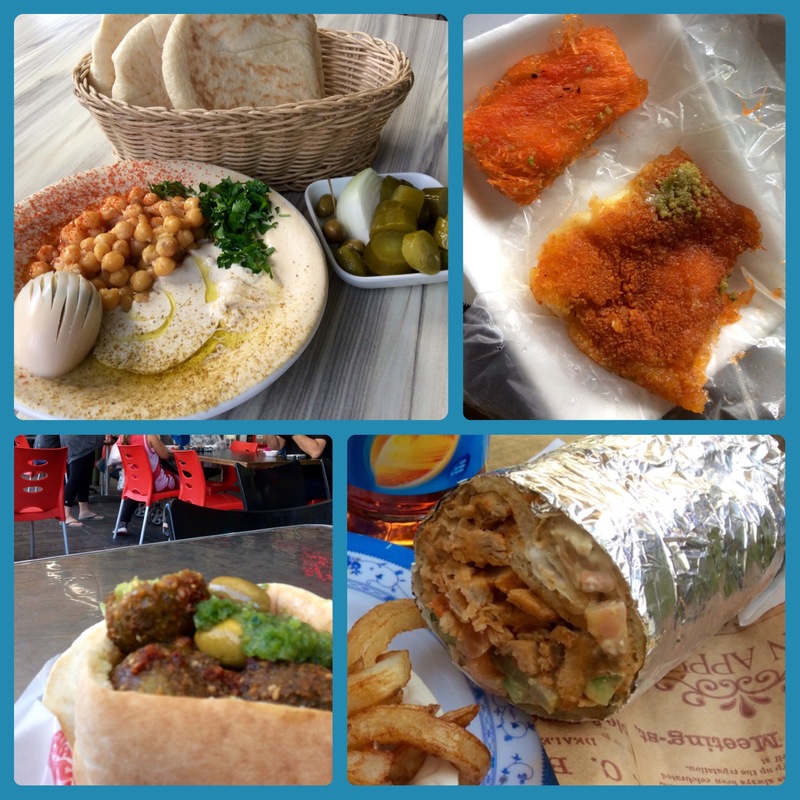 Everyone ought to experience Israel!